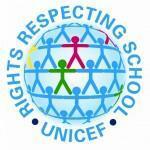 We are on our UNICEF Rights Respecting School journey and are delighted to have attained the RRS Bronze Award - Rights Committed. We are now furthering our journey towards achieving the RRS Silver Award. Members of our school council were delighted to receive our Bronze Rights Respecting Schools Award certificate for our work in promoting the rights of children. Mae aelodau'r Cyngor Ysgol yn falch iawn i dderbyn y dystysgrif ar gyfer y wobr efydd Ysgol Sy'n Parchu Hawliau. In the words of a pupil: "A Rights Respecting School is a place where we can all feel confident with ourselves and it encourages us to use our voice. It's a safe environment where everyone feels comfortable. We know we have to respect each other's opinions and they have to respect yours too. Every child is treated the same in our school and we're all special in our own way! A Rights Respecting School is a place where everyone cares for each other. It has helped me build my confidence. It has helped me raise awareness of injustice in the world." A Unicef UK Rights Respecting School is a community where children’s rights are learned, taught, practised, respected, protected and promoted. Children and young people and the school community learn about children’s rights by putting them into practice every day. The Award is not just about what children do but also importantly what adults do – in Rights Respecting Schools, children's rights are promoted and realised and adults and children work towards this together. UNCRC stands for United Nations Convention on the Rights of the Child. It’s a list of children's rights that all children and young people, everywhere in the world have, no matter who they are, where they live or what they believe in. The UNCRC has 54 articles in it, 42 rights are for children and young people up to 18 years of age. The others are all about how governments and adults should work together to make sure children and young people can access their rights. Children's rights are all the things that children and young people need to make sure that they are safe, have the things they need to survive and develop, and have a say in decisions that affect their lives. 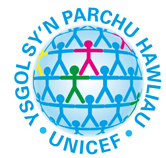 In 2011 Wales became the first country in the UK to make the UNCRC part of its domestic law. Download a copy of the Rights of the child Poster - Know your rights! Children's Commissioner for Wales Championing the rights of children and young people in Wales. Pupils visited Stacey Primary School as part of our UNICEF Rights Respecting Schools partnership. Thank you for the warm welcome!